OSWEGO COUNTY — Spectacular sunsets, amazing fishing, exhilarating lakeshore breezes, and great family festivals – these are the ingredients of summer vacation memories. Visitors to Oswego County will find more than 100 things to do, from patriotic celebrations to fishing tournaments and outdoor concerts, between Memorial Day and Labor Day. May 27 – 28: Fulton’s 30th annual Memorial Day Salute features a parade Saturday morning and live entertainment by Orleans Saturday night at Fulton Recreation Park. Free admission. May 28 – 29: Native Circle Touch the Earth Festival celebrates Native American heritage with live music, storytelling, dance, children’s activities, encampment and crafts at Mexico Point Park, off Route104B, http://nativecircle.net; 315-963-3820. Free admission. June 24 – 26: Oswego. 11th Annual K&G Lodge All Women’s Fishing Tournament is the perfect getaway for ladies who like to fish. Arrive Friday, fish Saturday and Sunday. K&G Lodge, 1881 Co. Rte. 1, 315-343-8171, [email protected], www.kglodge.com. Call for registration details. 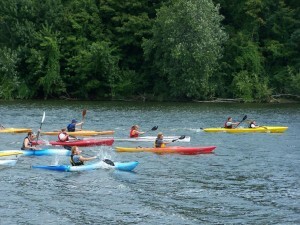 June 25 – 26: Tri-Oswego Triathlon. Hundreds of athletes of all ages will compete in sprint, intermediate, and sprint team relay events. Family activities throughout the weekend at Wright’s Landing and Breitbeck Park; www.tri-oswego.com. Admission free, registration charged. June 26: Sandy Pond Bass Tournament, 100 percent pay back. Sponsored by Sandy Pond Sportsman’s Association, 3201 Co. Rte. 15, 315-387-6310, http://sandypondsportsman.com. Registration charged. July 3: Independence Day Parade, 1 p.m. Annual Independence Day parade starts at Oswego High School and ends at Fort Ontario. Fireworks over harbor at 9:45 p.m. www.oswegofultonchamber.com. July 21 – 24: Gulliver’s Wilderness Airpark hosts its annual “Fly-In” with all types of small aircraft, trikes, PPG, PPC, Gyros and more.1222 Red Schoolhouse Rd., Palermo. 315-593-1403, www.ulflyers.com. July 28 – 31: Harborfest 2011: Central New York’s favorite festival features more than 100 choices of admission-free entertainment, arts and crafts, and special events. Fireworks by the Grucci Brothers over Oswego Harbor at 9:30 p.m. Saturday. www.oswegoharborfest.com, 315-343-6858. July 30 – 31: Parish/Altmar. United States Orienteering Classic Championship with recreational courses offered for general public at Happy Valley Wildlife Management Area. Sponsored by Central New York Orienteering. 607-756-8308. http://cnyo.us.orienteering.org. Admission varies. Aug. 6: Canal Celebration at H. Lee White Marine Museum from 2 to 6 p.m. with tours of Derrick Boat 8, the LT-5 and museum. Period dress, demonstrations, crafting, refreshments, bluegrass music. W. First St. Pier, 315-342-0480, www.hleewhitemarinemuseum.com. Aug. 6 – 7: Parish Olde Home Day and annual car show. Parish celebrates its rural heritage with old home day at the town park on the corner of Rtes. 69 and 69A on Saturday. Local produce, baked goods, crafts, displays, presentations, vendors, refreshments and entertainment. Free admission. http://parishchamberofcommerce.parish-ny.com. On Sunday, the Parish Volunteer Fire Co. hosts its Annual Car Show, from 8 a.m. – 4 p.m. www.parishvfc.org. Admission charged. Aug. 26: Mexico Point Park Ghost Hunters Present the Day of the Dead and More, 7-9 p.m. Join local ghost hunters for a presentation with Anne Borick. Mexico Point Park, off Rte. 104B, 315-963-8216 or 315-963-7657. Admission $5/donation. Aug. 28: Taste of Oswego, noon-6 p.m. Variety of food and beverages from area eateries, entertainment and activities. Econo Lodge Inn & Suites; 315-343-7681, www.oswegofultonchamber.com. Admission free. Sept. 2 – 4: Oswego Speedway International Classic Weekend. Winged Super 50, TQ Midgets, ROC Modified 200, SBS Classic 100, and the 55th Supermodified Classic 200. NYS Rte. 104 E. 315-342-0646, www.oswegospeedway.com. Admission charged. Sept. 3 – 4: Redfield Old Home Days with chicken barbecue, parade, bluegrass, arts and crafts, pushball competition. Redfield Volunteer Fire Company Inc. 315-599-7750. Admission free. For accommodations, campgrounds, fishing charters, and visitor information go to www.visitoswegocounty.com or call 1-800-248-4FUN. 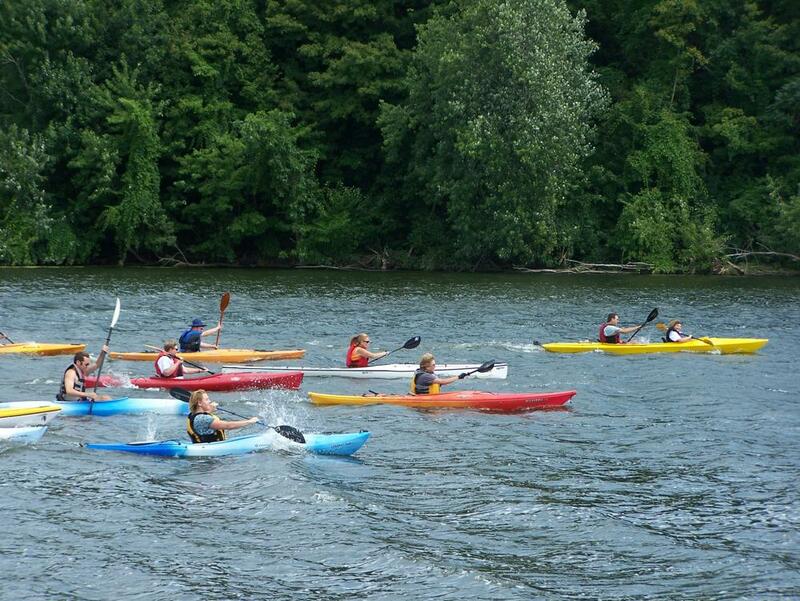 To receive a free “Summer in Oswego County” brochure, call 1-800-248-4FUN or e-mail [email protected].